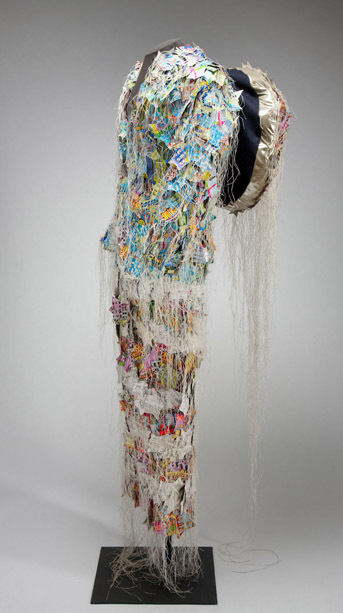 Myself and the suit above will be at Fiberart International 2013, which opens this week in Pittsburgh, PA. I am always excited to come back to this town, to see old friends, see exciting work and hear great musicians practicing in apartments as I walk through the town. I have also been reflecting that the beginnings of this piece were first sewn at the Vermont Studio Center, a place of peace and reflection, and a place that brings artists from all over the world, eating at the same tables every day. Conversations were spirited, and spirits were convivial, no matter where we were from. 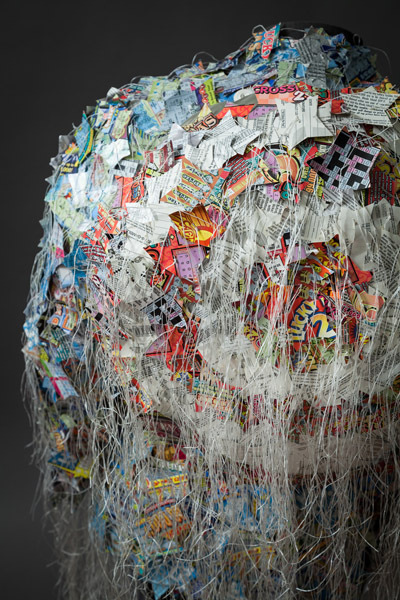 Congratulations Rebecca on your piece in the Fiberart’s International 2013 show. In the international fiber art scene, it is a very prestige show to be in! I’m very proud of you! I looked up the show on their website and saw your Captain American Suit! Wonderful! The detail photo you have on your website is great! Hope to see the show when it comes to San Jose. Looking forward to seeing what’s new from your studio in the future on your website!